The Dubrovnik-Neretva Region is presently connected by a motorway reaching the City of Ploče. In the state road transportation network system the Dubrovnik-Neretva Region is situated on the very end of the Adriatic highway (D8), which is mostly in an unsatisfactory state, especially considering the fact that it was built to cater to a rather different traffic volume in comparison to the present number of vehicles per year. The road transportation network in the Dubrovnik-Neretva Region area consists of 17 state roads, 33 county roads and 72 local roads. The transport connectivity of the municipalities by the means of bus lines is not satisfactory. In addition to the road infrastructure, there is also the maritime infrastructure which could, with appropriate interventions and the introduction of fast boat (the minimum vessel speed of 30 knots) and ferry lines, connect the Region in an appropriate manner. Given the number of transported passengers, air transport is the most important form of transportation connecting the Region via Dubrovnik Airport with the rest of Croatia and the world. 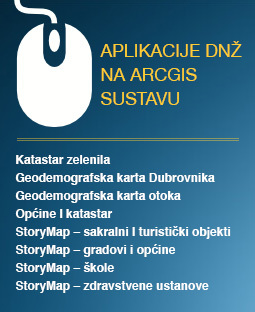 In view of all this and the current traffic and territorial isolation of Dubrovnik and the wider Dubrovnik area including islands and the Pelješac peninsula from the rest of the Republic of Croatia, the priority projects in the road transport system in the Dubrovnik-Neretva Region have already been included in the strategic spatial planning documents at all levels. to resume the Pelješac Bridge construction with access roads, and to construct the Dubrovnik – Čilipi – Debeli Brijeg expressway due to the need for a fast connection between Dubrovnik and its airport. The Adriatic-Ionian Corridor, which is a part of the basic TEN-T (Trans-European Transport Networks) road transport network on the territory of the Republic of Croatia, and the Functional Region project both play a key role as a prerequisite for an integral transportation development of the macro region and the associated area of Dubrovnik-Neretva Region which guarantee the full exploitability of economic potentials, mainly through tourism and accompanying services. The completion of the Pelješac Bridge would connect the cities of Ploče and Dubrovnik and ensure the transportation connectivity of the Region, as well as the connectivity and integrity of the territory of the Republic of Croatia and the European Union. Furthermore, considering the fact that the maritime zone or the territorial sea of the Republic of Croatia constitutes 80 % of the Region’s territory, building the Pelješac Bridge would significantly benefit the insular part of the Region, bringing it closer together and making it more accessible for the road transport, which would in the long run result in the economic growth on the islands, their sustainable development and would encourage people to keep living on the islands. The completion of the Dubrovnik (Osojnik) – Dubrovnik Airport – Debeli Brijeg expressway would integrate the Dubrovnik Airport and the maritime port of Dubrovnik into the transport system of the Region and the country, as well as connect the majority of the tourist capacities of the Region with the City of Dubrovnik and the Dubrovnik Airport. 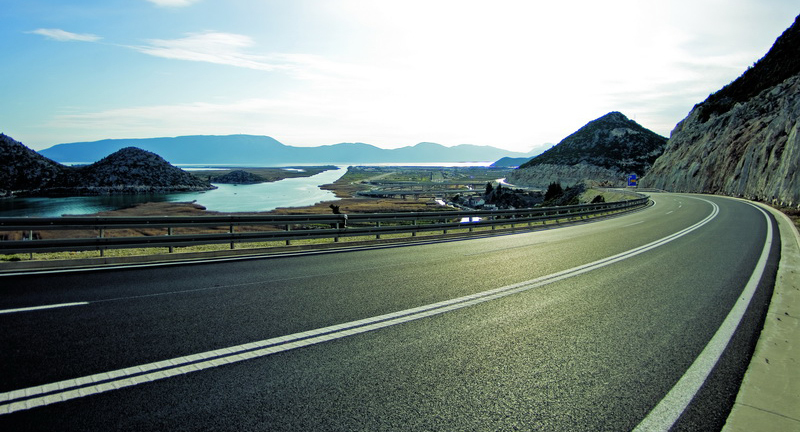 There are plans for the construction of an access road from the Pelješac Bridge to the Janjina bypass on the D414 state road across Pelješac, of the Janjina bypass itself, the Potomje bypass, the new section from Kapetani to Orebić, the Orebić bypass, the Perna port junction and the St. John-Kneža Bridge (underwater tunnel) across the Korčula Canal with access roads on Pelješac and Korčula. 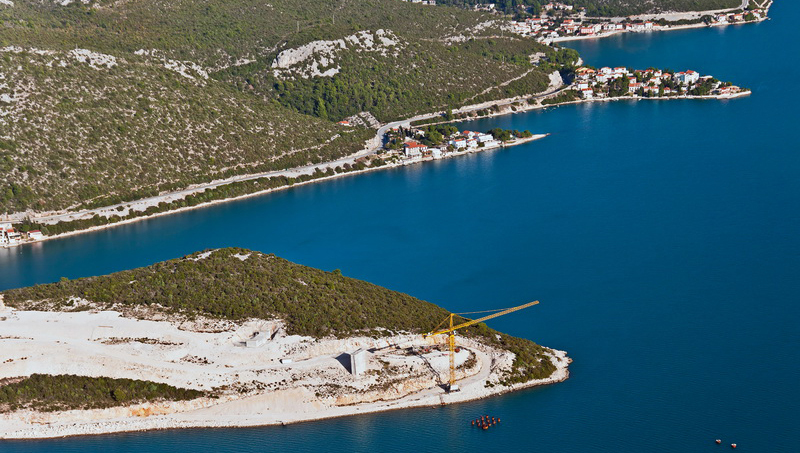 On the island of Korčula, the extension of the D118 state road to the new maritime-passenger terminal in Vela Luka is of great importance, and there are plans for building an access road from D118 to the planned port of Polačišta. In terms of maritime transportation, the internationally recognized ports Ploče and Gruž are of considerable infrastructural value, along with six other ports which are significant at the Region’s level, as well as 74 ports of local relevance. However, due to the change of the geo-traffic position of the Gruž Port and taking into consideration its hinterland, Gruž should be completely reoriented to the passenger transport while cargo transport should be focused only on the targeted export needs of the City of Dubrovnik and its closest municipalities. Maritime transport is especially important for the Region because it has, along with the air transport, the biggest potential for further development. The highly indented coastline of the Region and a rather significant number of islands with a small number of inhabitants result in specific problems when it comes to addressing the issue of an effective and profitable transport connectivity systematically. Gruž Port has a large investment ahead which will allow it to become a modern passenger port with new terminals and supporting services for passenger admission. In the course of the renovation of the maritime passenger terminal the plan is to unify all transport terminals – alongside the maritime passenger terminal there should be a city bus terminal as well as an international one, an international tourist terminal and a terminal for buses transporting passengers to the airport. In relation to the Ploče Port, vitally significant are the construction of a new terminal for bulk cargo, a new container terminal, a new terminal for liquid cargo and giving concession for liquefied petroleum gas. There is also a need for the introduction of new fast boat connections in the future. The air transport system operating via Dubrovnik Airport located in Čilipi currently connects the Region with the rest of the world. It accounts for over 60 % of tourists who arrive to Dubrovnik, which speaks volumes about its significance in view of transportation and economy. According to the development plans, the Dubrovnik Airport is presently under an exceptional investment surge which will make it the most modern airport in these parts, with a completely reconstructed runway, terminals for passenger admission, additional content provided etc. Besides the aforementioned airport there is also one in Ploče with a possible new location in the Valley of the River Neretva. However, it is absolutely necessary to plan for an airport in the Neretva area of the Region in the new spatial planning documentation. In addition, there is a plan for the construction of the Brna Airport on the island of Korčula. In railroad transportation there is a plan for a modernization of the Ploče – Metković – Sarajevo – Osijek – Budapest railroad on the international transport corridor Vc (five c). There is also the possibility of a quicker railroad constructed alongside the Adriatic coast (after the year 2020) that would connect Anatolia (Asia Minor) with Western Europe. There are two railway stations planned in the Region: in the wider Dubrovnik – Osojnik area and in the wider area of Ploče. The postal connection system network in the Region consists of the Postal Centre Dubrovnik with three organizational units (Korčula, Metković, Ploče). After the completion of a network of marine and submarine optical-fiber cable connections (the insular corridors Korčula – Mljet – the Elaphites – Dubrovnik and Vela Luka – Milna – Split) and the construction of other major facilities, the postal and telecommunication system, which is already on a high level, will completely meet any future needs. In the framework of the Spatial plan of Dubrovnik-Neretva Region, a study entitled “The Energy Growth Guidelines for the Dubrovnik-Neretva Region” was conducted, analyzing energetics, gasification and the usage of renewable energy sources. There is also a range of programs and strategies dealing with renewable energy sources, which lately saw significant advancements. Today more and more households opt for the renewables, namely by remodeling in order to improve the energy efficiency of buildings and so on with the support of the counties and the relevant national authorities. Firstly, it is necessary to strengthen the Region’s electric power connection with the energy system of Croatia by building a 400 kV energy grid. The expansion of the Dubrovnik Hydroelectric Power Plant in Plat is planned by adding a 3rd generator. The study also analyzes a program outlining the construction of small hydroelectric power plants at Konavosko polje, a program of solar energy exploitation, a program of wind energy exploitation, as well as the exploit of biomass (industrial organic waste). The strategic plan on the level of Region foresees the development of energetics that would promote clean technologies, gasification, energy efficiency, the usage of renewable power sources, the development of entrepreneurship and the protection of the environment. The water supply levels for the inhabitants in the Region are around 85 – 90 %. However, the water-supply systems are connected to the cities and larger settlements while large areas of the Region are not covered by the water-supply network (the eastern part of Konavle, Konavoska brda, Dubrovačko primorje, the Elaphites, the central part of the Pelješac Peninsula, the central part of the island of Korčula, the islands of Mljet and Lastovo). In the future, there are plans to continue the works on the existent water-supply systems (Neretva – Pelješac – Korčula – Lastovo and these are: works on Korčula, Pelješac, Lastovo and the initiation of works on the water supply for Mljet, water supply system for the eastern part of Konavle, of the Dubrovačko primorje and the Elaphites). The Region has at its disposal a sufficient amount of drinking water. 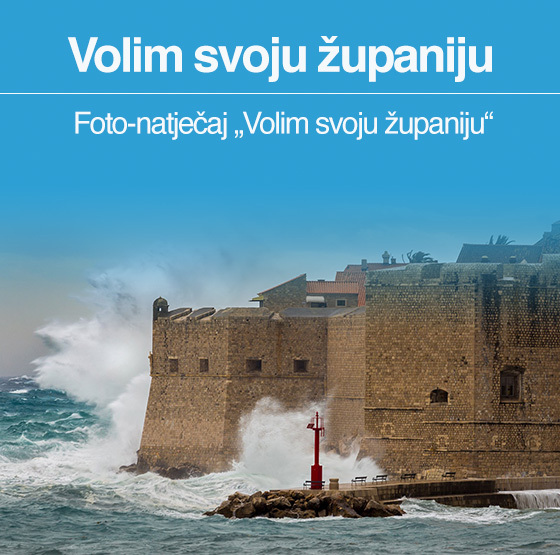 However, in terms of protecting the bodies of water and water sources, it is necessary to establish zones of sanitary protection of the sources of water, as well as protective measures in the process of construction and improvement of sewage systems in Cavtat, Župa Dubrovačka, Dubrovnik, Slano, Bay of Mali Ston, on the islands and in the Valley of the River Neretva. As a measure of protection, a restriction of the usage of chemicals in agriculture is foreseen, as well as the improvement of the sanitary conditions of the “wild” waste dumping grounds. Grabovica, the Valley of the River Neretva, Pelješac, areas of Korčula and Lastovo are the potential macro-locations of future dumping grounds, while the construction of a Region’s center is planned in the hinterland of the Dubrovačko primorje municipality. The dumping grounds would be closed down in the future, or they would rather be used as transfer stations and the Region’s center would start fulfilling its role. The measures of protection against floods, the hydraulic land reclamation and irrigation are planned for the Valley of the River Neretva, both Konavosko polje and Vrgorsko polje and for some other smaller fields.